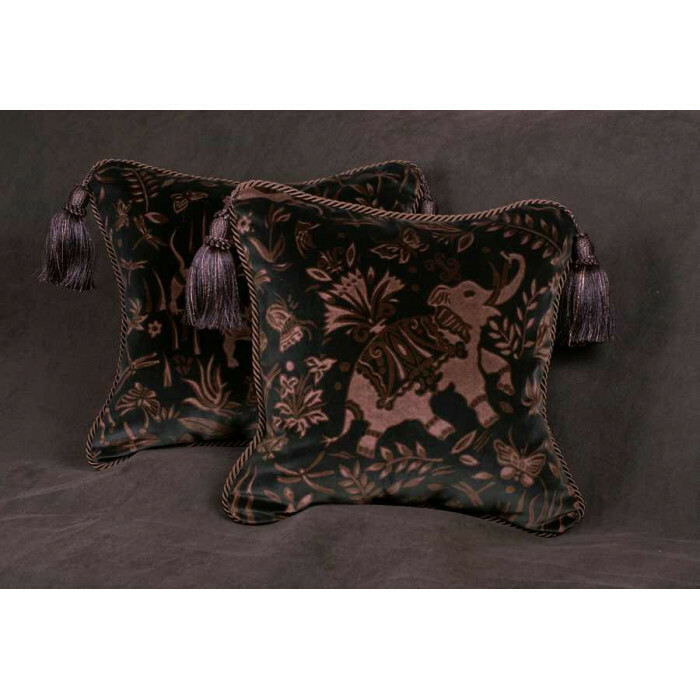 Luxury interior design through stunning and elegant heirloom quality designer pillows imagined, designed and crafted by Spiritcraft Design. 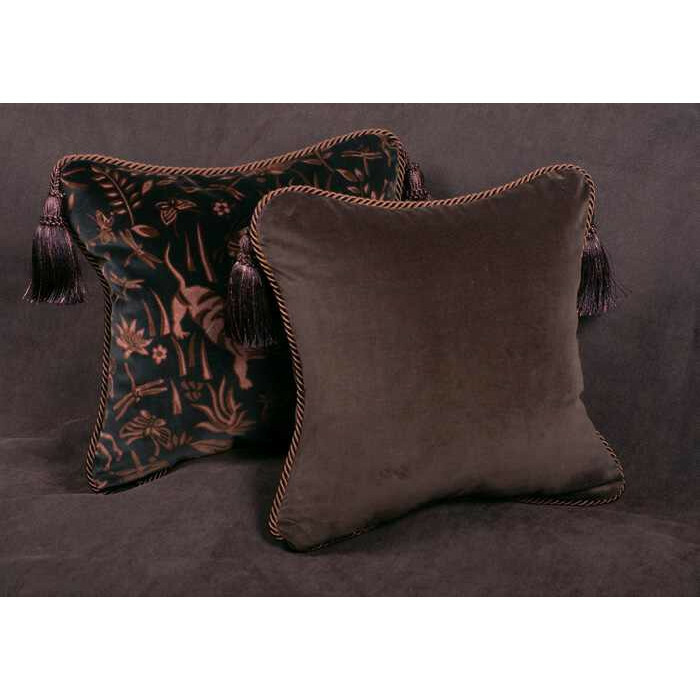 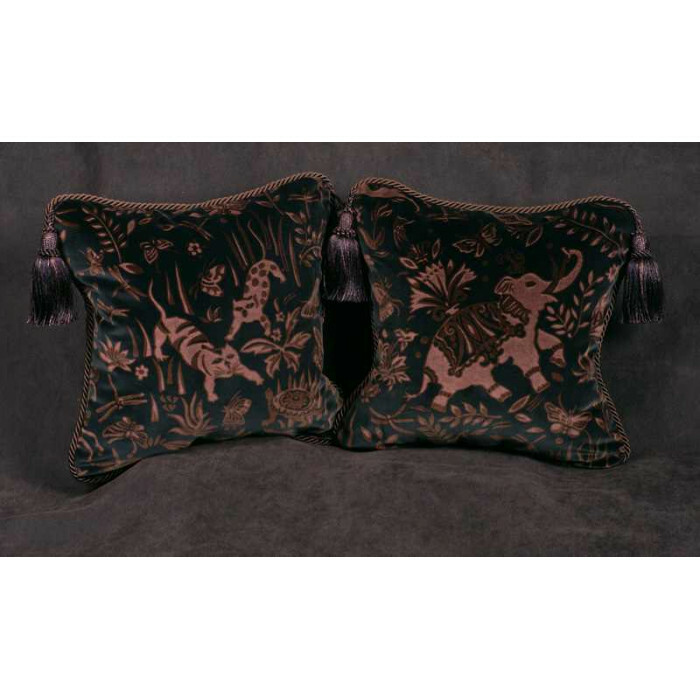 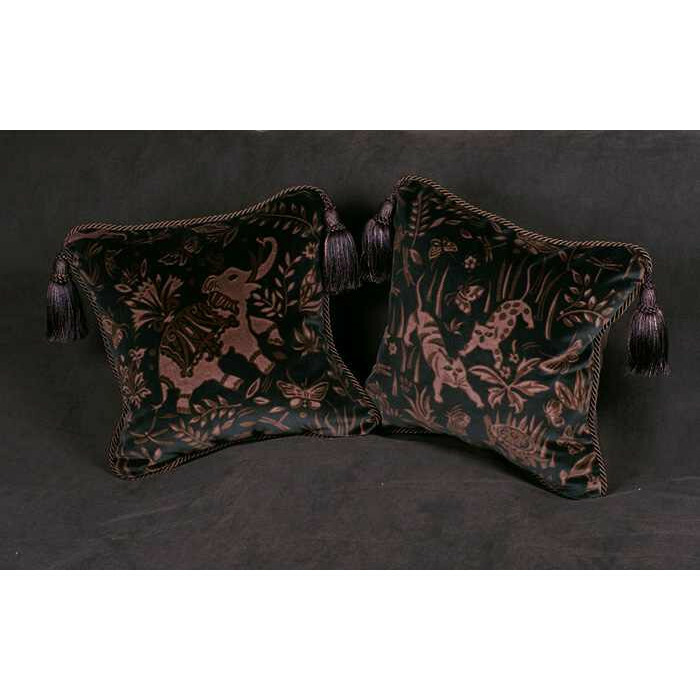 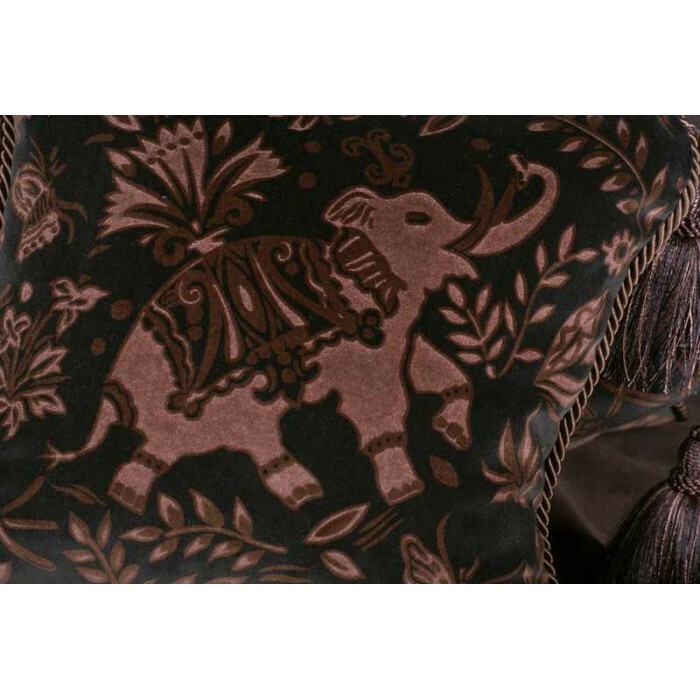 The luxurious facing fabric is an exceptionally crafted hand printed sculpted velvet from Italy that is exotically striking from any angle or distance. 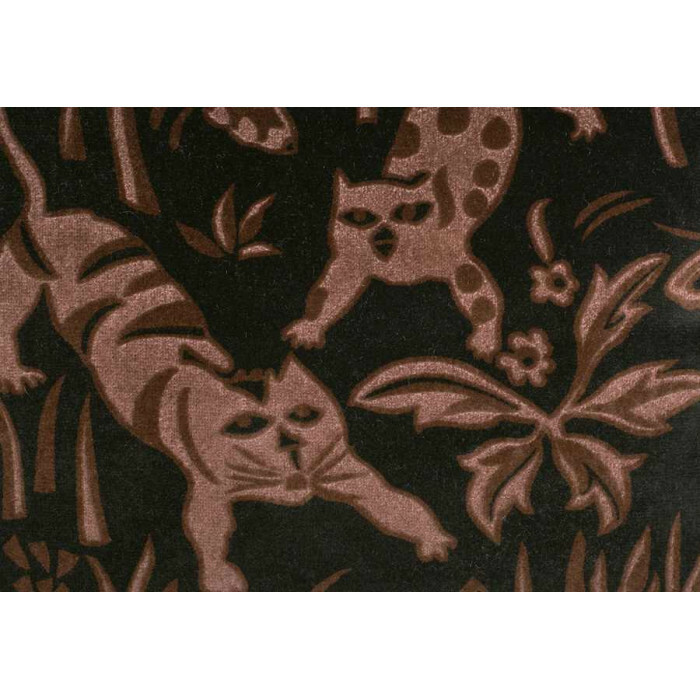 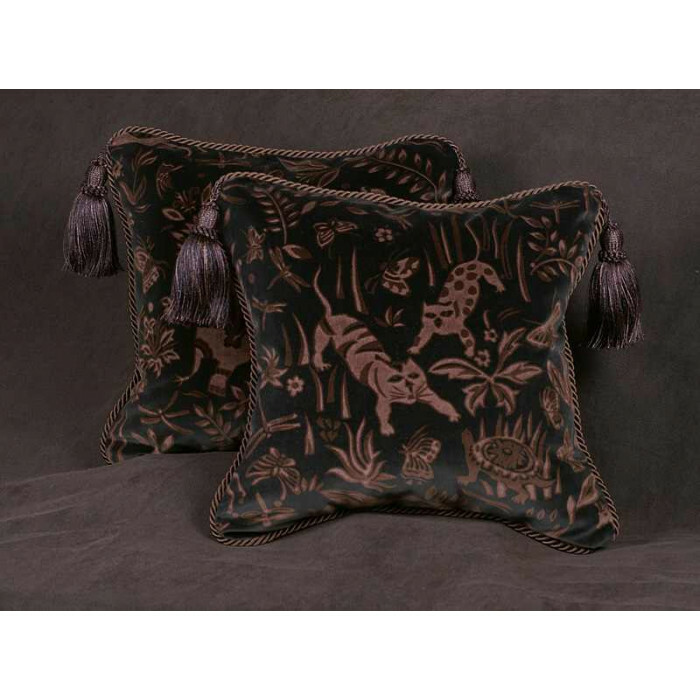 This luxurious velvet is finely detailed and features a design that includes butterflies, turtles, jungle cats and an Elephant. 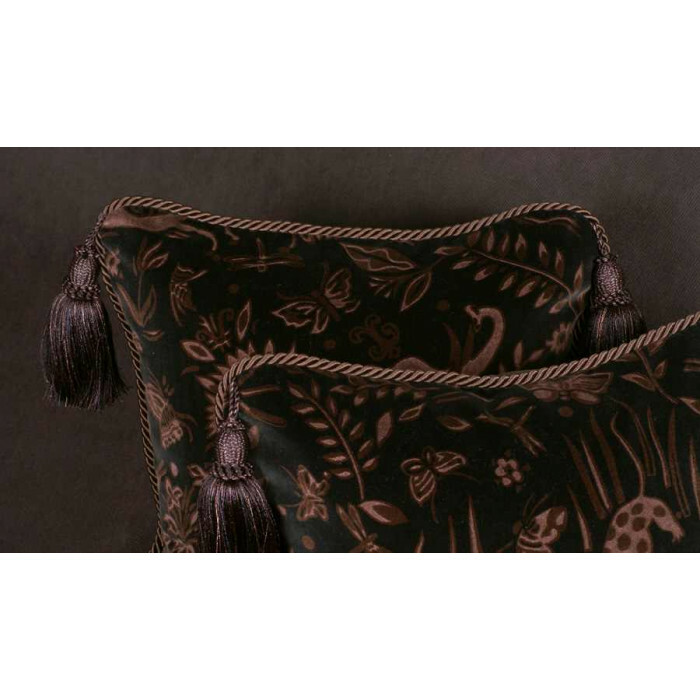 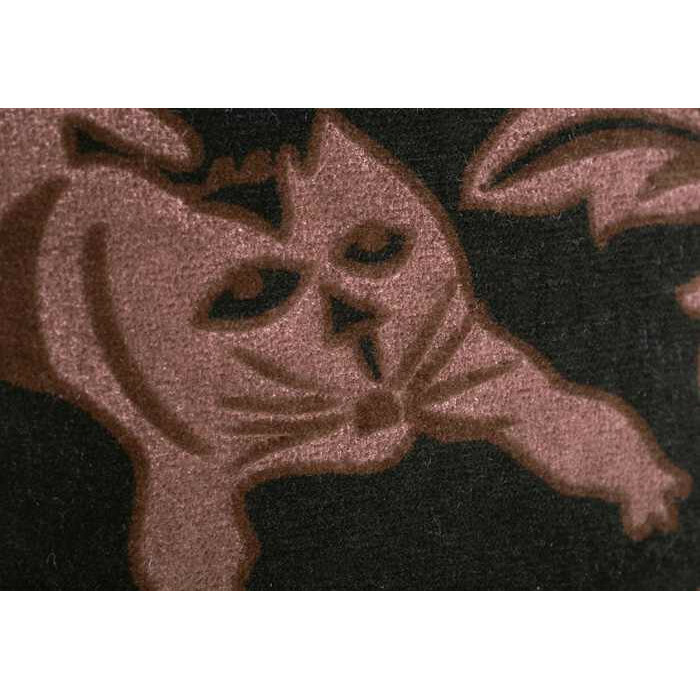 This fabric exudes luxury and is just exquisite, the dark brown mink colored velvet has an extraordinary "seal skin" sheen and is softer than you could ever imagine (it is also very difficult to photograph due to the sheen). 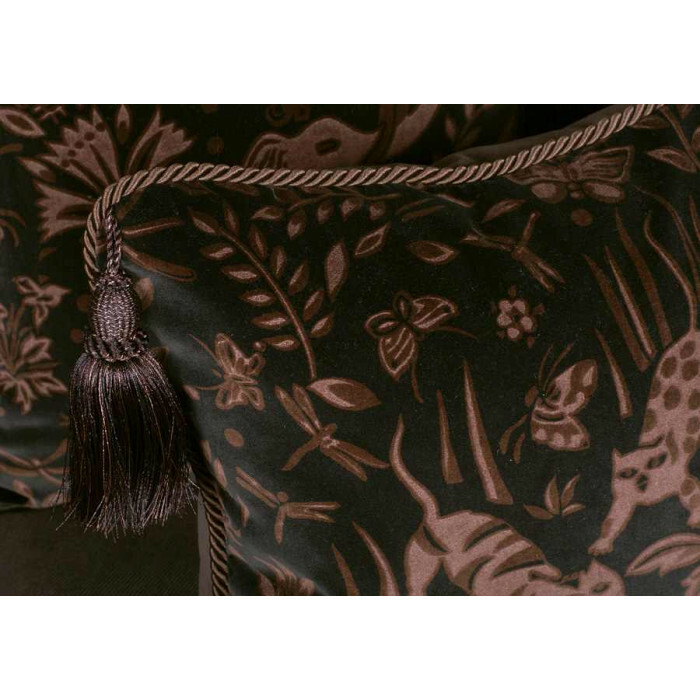 This wonderful $266 velvet is among the finest printed velvets that we have seen... it is just that nice and just that luxurious. 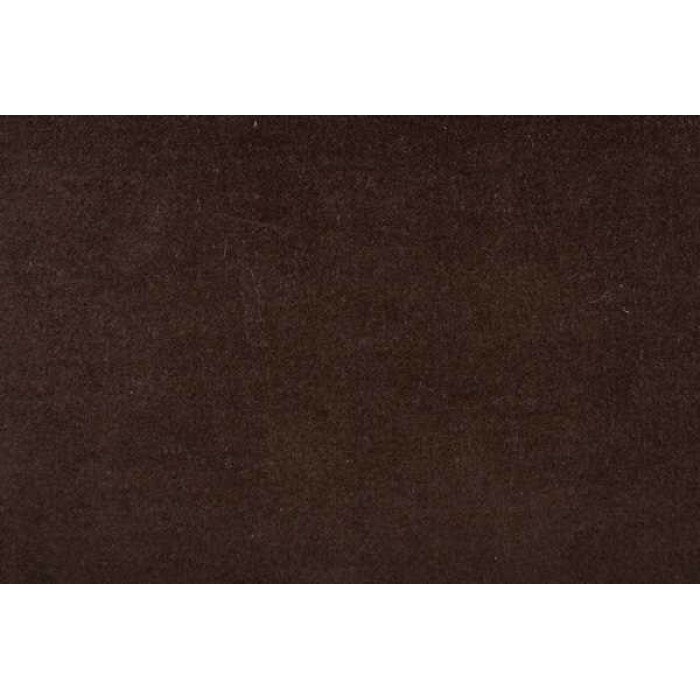 As the perfect compliment to the La Foresta, the dark brown linen velvet by Lee Jofa is an Italian made fabric that is absolutely high-end. 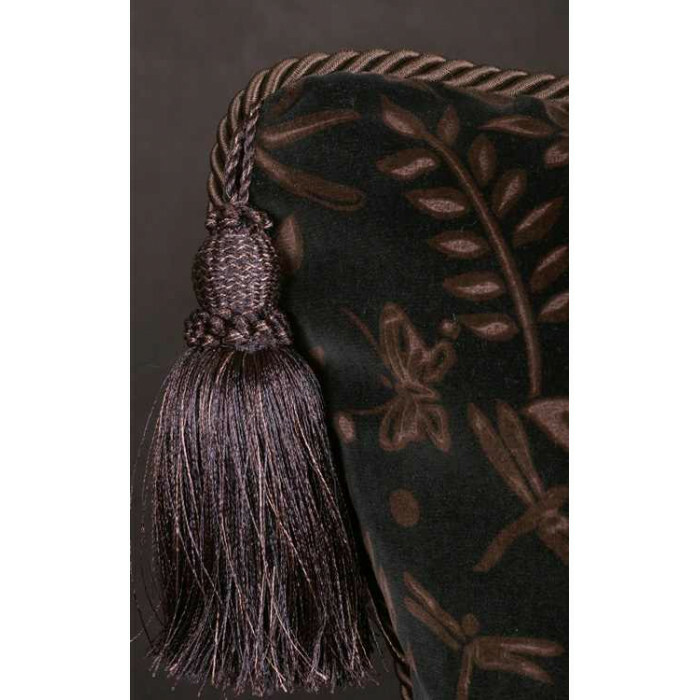 The velvet has an extremely rich feel and is stunning to the eye. 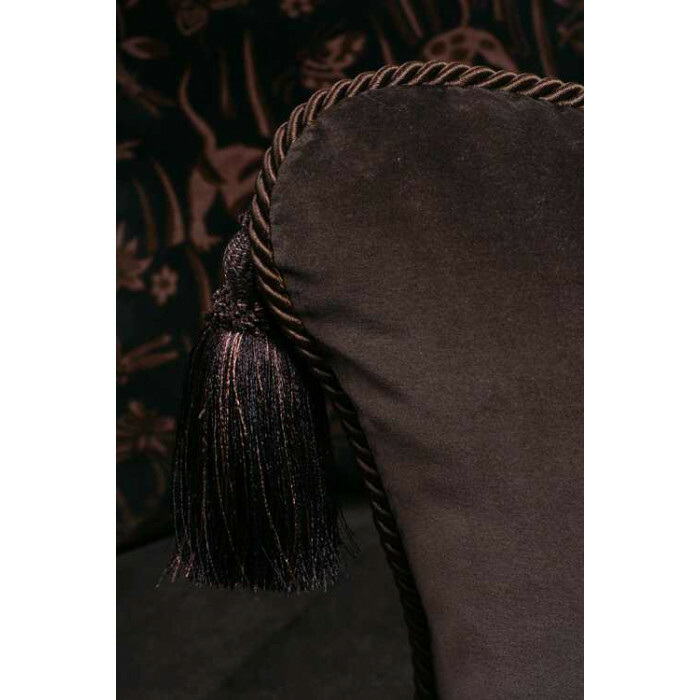 This fine, $275 velvet demands attention and is a pleasure to the touch and to the eye. 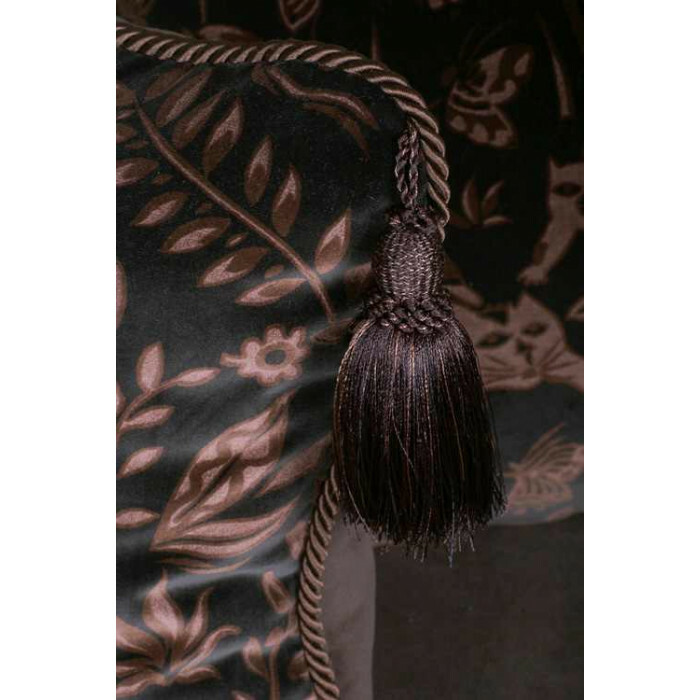 Perfectly matched Kravet Design cord trim and decorative tassels were added to the pillows to enhance the design and to add a further touch of exotic elegance. 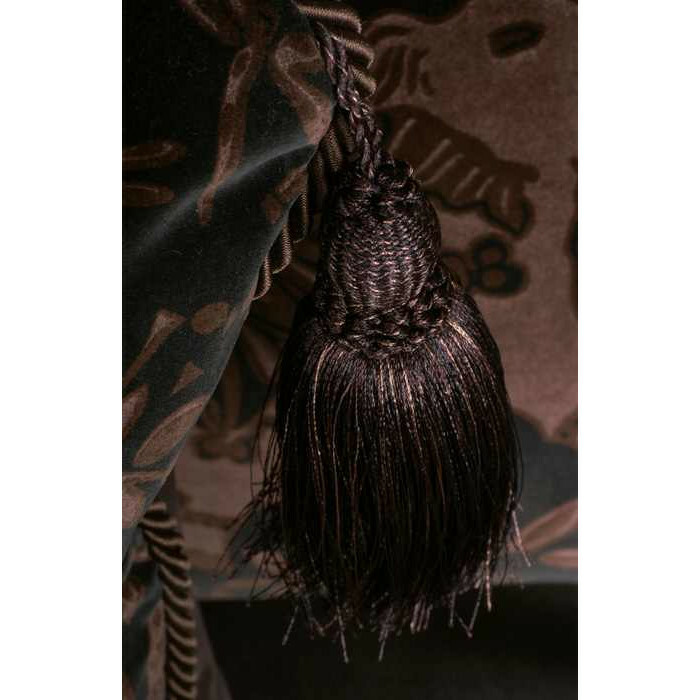 Consider cord only for a more transitional or contemporary decor. 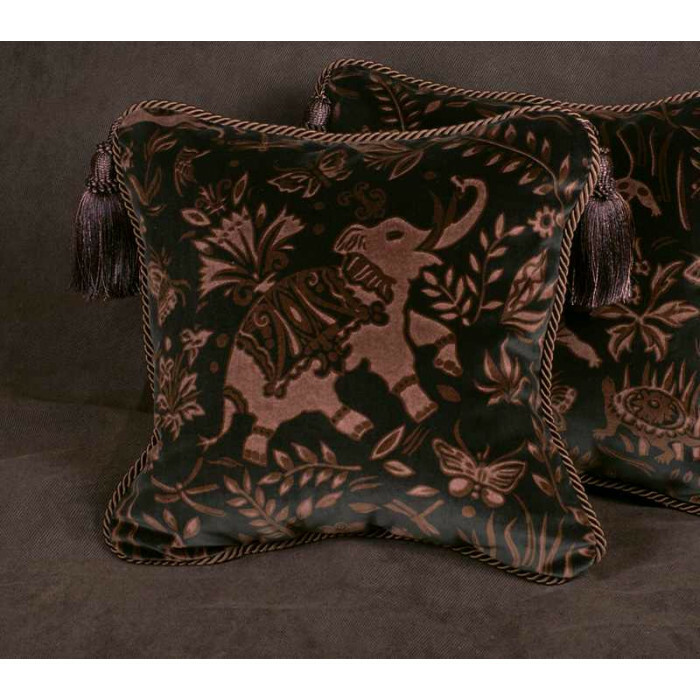 Contact us for custom accent pillows in any fabric in custom sizes, backing velvets and trim options. 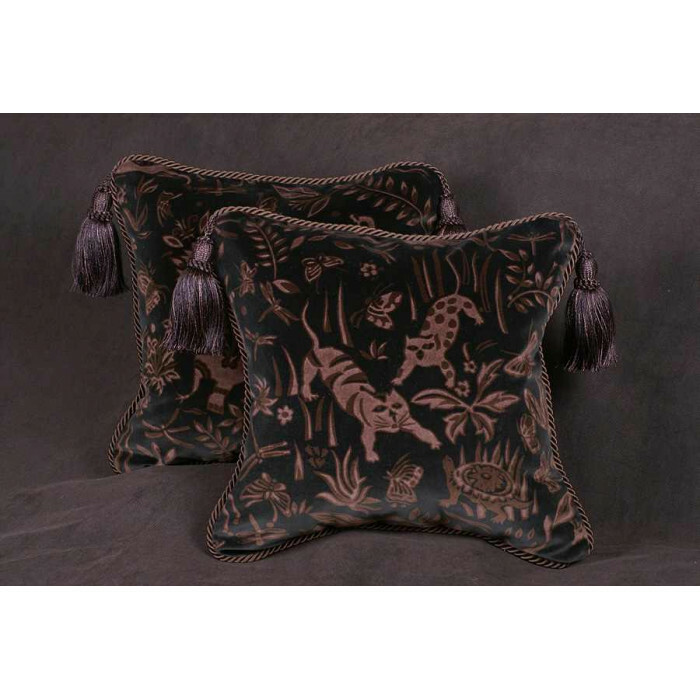 Pillows Size: 19" x 19"